Screenshot/Will Martin/Business InsiderA screenshot of Marcus’ UK website. 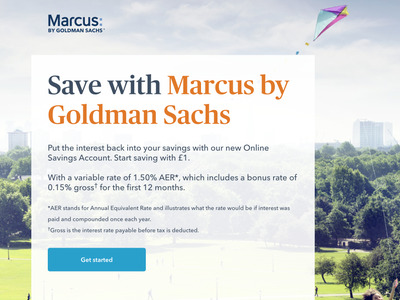 If you’re not an avid follower of British retail banking, you might not have noticed that last week Goldman Sachs quietly launched its Marcus savings account in the UK. There was little fanfare beyond the press around the UK launch of Goldman’s first foray into consumer banking, after 150 years of catering to the rich and powerful around the world. 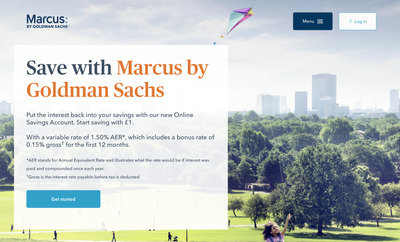 Named for one of the bank’s founders, Marcus Goldman, Marcus first launched in the US in 2016, and is part of an effort to diversify revenue sources as traditional sources of income lag.Marcus has to date written over $US2 billion worth of loans in the US. “Numbers have exceeded even our most ambitious expectations,” he said. Sure, having a bank account with Goldman Sachs sounds cool, but what is Marcus actually like to use? 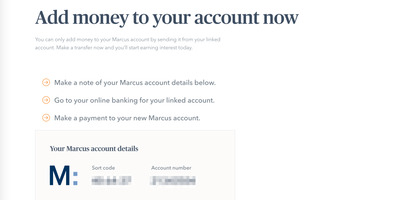 Business Insider decided to give the bank’s basic savings account – the only Marcus product currently available in the UK – a trial run. Here’s what we found. Besides the backing of one of the financial world’s most recognisable names, what stands out most about Marcus’ savings account is its interest rate — 1.5%! 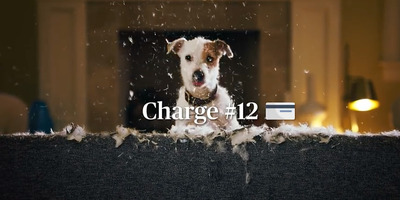 YouTube/Marcus by Goldman SachsAn ad for Marcus from its initial launch in the USA. That’s split into a 1.35% basic rate, and an introductory bonus rate of 0.15% for the first year of use. Goldman hasn’t given any indication if it plans to increase or decrease this rate any time soon. Regardless of the bonus rate, 1.35% is among the best interest rates available for savers on the British high street. Marcus’ launch coincided with me looking for a new savings account after I finally got sick of the tiny 0.2% interest rate I was getting on my account with a major UK high street bank. A 0.2% interest rate is so low that it’s almost pointless for saying. $US10,000 in an account with that interest would give you just $US10,020 by the end of the year and, after 10 years, just $US10,201. Compare that to a 1.5% rate, where after one year your savings would be worth $US10,150, and $US11,650 after 10 years. Signing up for Marcus is a pretty straightforward process. Marcus has no physical presence, so sign up must be done online. 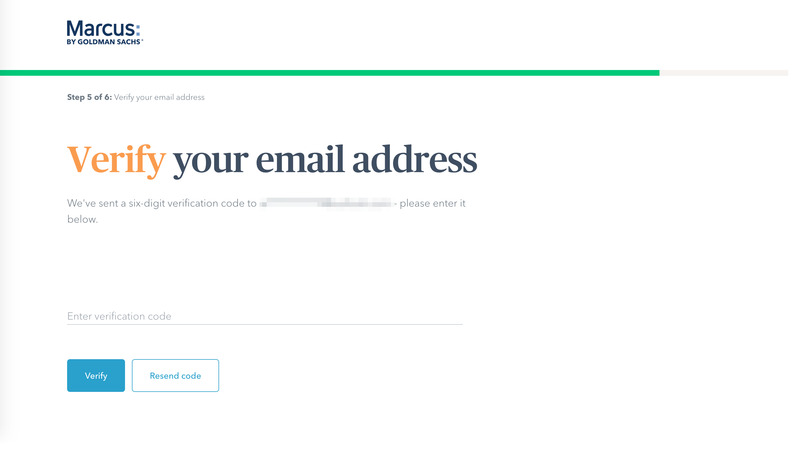 Given that the accounts are targeted at millennials, that’s probably not going to be much of an issue for prospective customers. 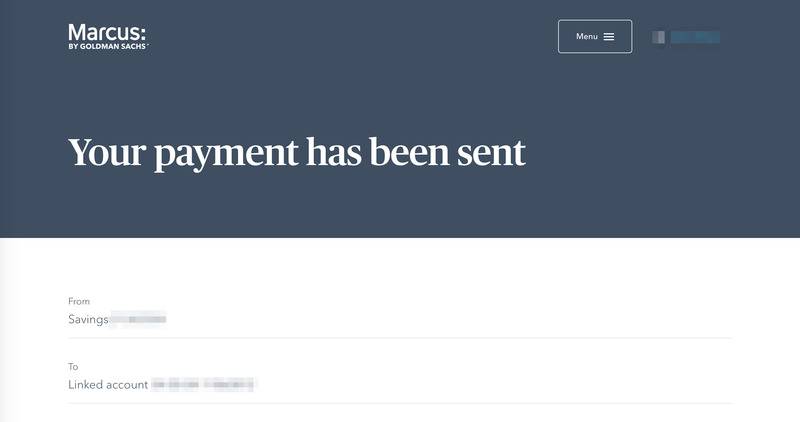 I set my account up on Marcus’ launch morning in the UK, and the whole process took less than 15 minutes. I had some of my savings in the account in less than 30 minutes. 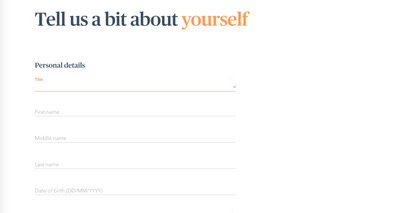 First up, you’ll have to give Goldman Sachs a bit of information about yourself. 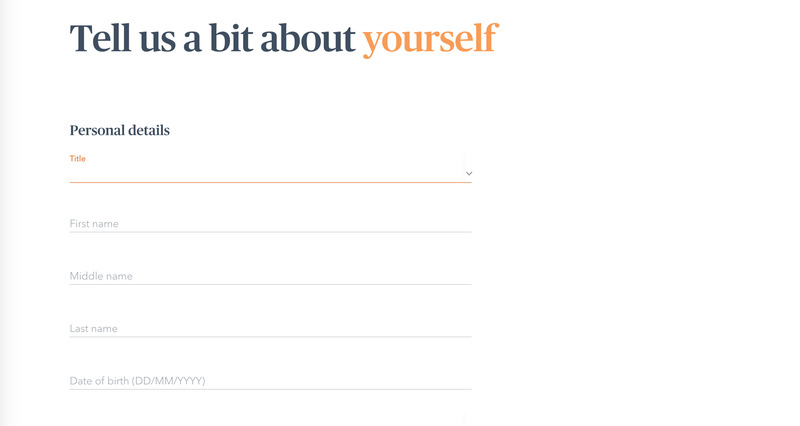 Name, date of birth etc, but also some more unusual details including your job and salary bracket. 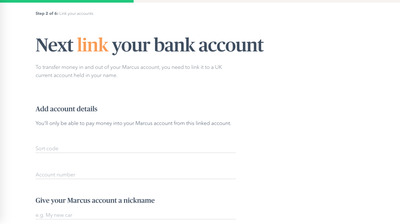 Once you’ve entered your details you’ll need to link Marcus to another bank account. 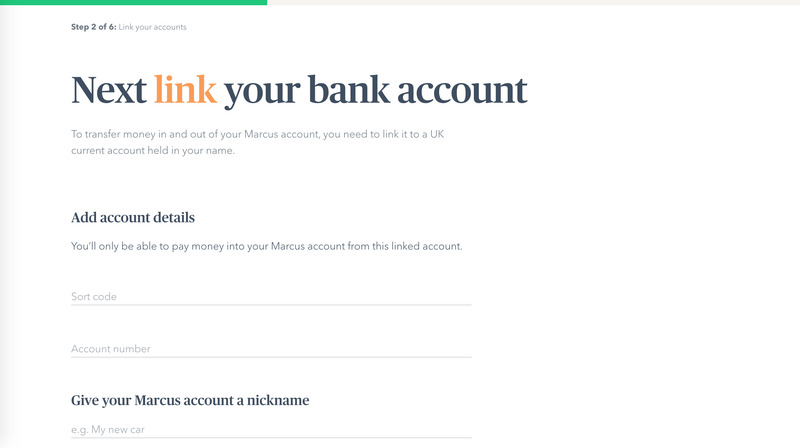 The account you link to Marcus is the only one into which you’ll be able to withdraw money. 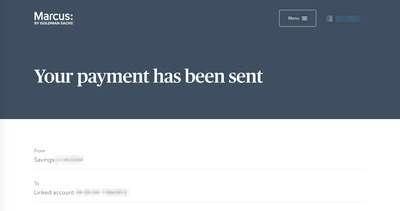 This feature is a pretty simple but it’s a clever way of preventing theft, as there is literally no other means of withdrawing money other than putting it into the linked bank account, which you own. 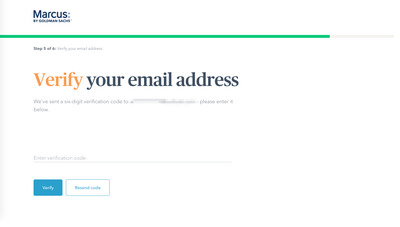 After you’ve linked an account, you need to set a password and PIN to protect the account, as well as verify the email address you’ve linked to your Marcus account. Once again, it was all very straight forward. And with that, you’re a Goldman Sachs customer! Transferring money to and from the account is a very simple process, and admirably quick. Over the first few days of using my Marcus account, I made several transfers and most were cleared within 10-15 minutes. Transfers out were particularly speedy, ending up in my current account in seconds. A nice feature of Marcus is that you receive an email every time you make an outbound transfer, adding another layer of security to your account. 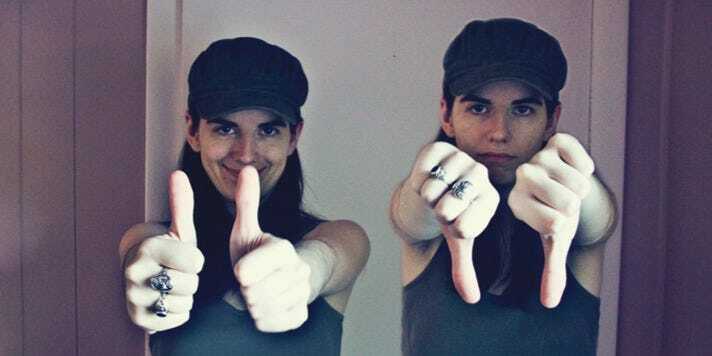 One potential downside is that despite being entirely online, it does not yet have an app of any sort. Users wanting to check their balance or make a transfer on their phone or tablet need to use a browser-based web page to do so. This is potentially frustrating for some users, but I used the mobile interface numerous times and it was a perfectly smooth, if basic, experience. Simplicity is one of the defining features of Marcus. It lacks any bells and whistles. The only features available when logged in are as follows: viewing, printing or downloading your transactions, withdrawing money, viewing your profile, and a guide to moving money using the account. 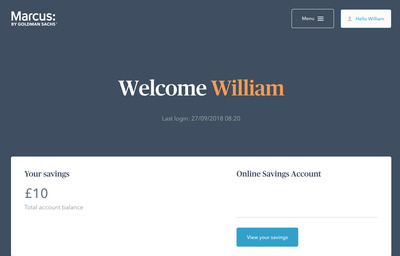 It’s all you need, but users looking for a savings account with lots of features might be left disappointed. 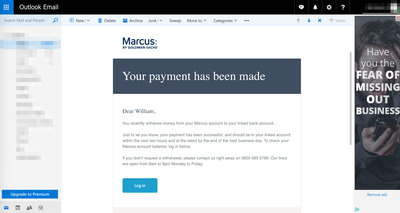 As a savings account, you’re not going to be using Marcus on a day-to-day basis, but it’s good to know when you do, the account is well laid out, and easy to use. 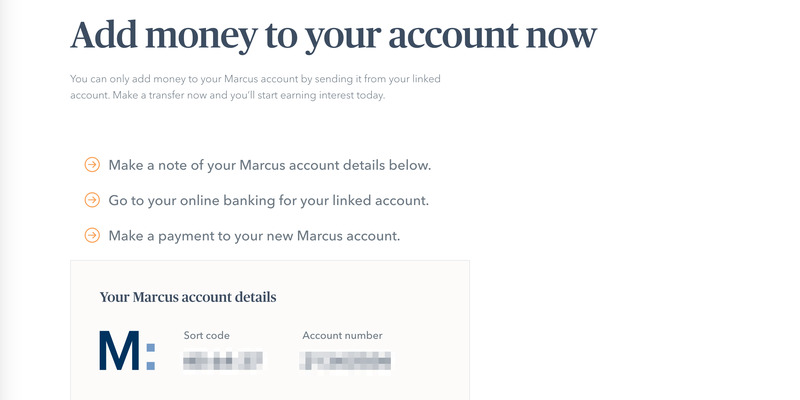 If you want a savings account with lots of features, and a physical branch to visit, Marcus isn’t going to be for you. But if you just want a functional account with a very good interest rate, its a solid choice, and a decent addition to the UK retail banking landscape.